Read Issue No. 2 Online Now! Download Issue No. 1 here! The last decade has brought major change to nearly every American industry. The 2008 financial crisis and rise of technology disrupted automotive businesses, rattled retail and shook age-old real estate practices. Today, Americans have emerged as more informed buyers and savvy sellers, expecting results faster and with full transparency. As entire industries rush to catch up, Auction Houses have been providing fast and final property transactions for as long as they have been in business. For forty years, our team at Tom Hall Auctions, Inc., has successfully marketing and sold over 500 real estate properties at auction with a closing rate of over 90%. Real estate auctions are often not an owner’s first thought when it comes to selling his or her home, but in many cases, it should be. If you are a homeowner who has embraced alternative methods of commerce in all other areas, perhaps traditional real estate sales are not for you either. There is no one-size-fits-all approach to any business, and modern qualified buyers are hungry to make a deal! 1. Have a sense of urgency? Even stunning properties can sit on the market. Real Estate Auctions give you an exact sell date! How would it feel to know the exact date that our property is going to sell? We don’t even want to wait for a pot of coffee to brew anymore, so why would we wait to cash in on one of our largest personal investments? By selling at auction, you will achieve a successful sale in 30 days, under terms that have no contingencies and go to settlement within 30-45 days after the auction. Remember those hungry buyers we mentioned? Imagine how they would be vying for your home if they could only have it on one day. The now-or-never nature of real estate auctions take the warm interest in your property and make it red-hot. Finally, because buyers can casually look at new homes online for months before deciding to schedule a visit, you are responsible for ongoing costs such as taxes, maintenance and liability of the property while they take their time. 2. Have a unique property? Commercial Auctions, like farms and restaurants, are a one-stop-shop for the land, building, equipment and liquor licenses. unique home, large plot of land or commercial business. Auctions are perfect for real estate such as farms, restaurants and business liquidations because they attract quality buyers over quantity. If the general public is not going to buy the contents of your law office or dairy farm, it is not worth the cost of listing the property with a traditional realtor. When you are selling a unique property, it’s not about getting in front of 100 people, it’s about getting in front of the right 10 people. At auction, the healthy competition between just two bidders will get you the top market price for your real estate. The Tom Hall Auctions’ network is robust, with close to 3,000 followers on Facebook, 10,000 registered bidders and 40 years of appraising estates in the region. So, if you want to sell a pizza shop, we know a guy– there is no property too large or too unique for our team! 3. Have an experienced agent? By partnering with traditional Realtors, sellers get access to two large networks of resources. Our reputation demands that we provide the best level of service to both sellers and buyers alike. We have three Licensed Auctioneers with over 80 years of combined experience who act as the facilitators of your personal property during the best and worst phases of your life. We take responsibility for marketing your property and can partner with licensed real estate agents to strengthen our reach on your behalf. We receive referrals from local agents who also understand your needs and know when “list and wait” just won’t cut it. If you like tradition, auctioneers use the same methods of marketing as brokers, such as print and web advertising, direct mail, e-mail, radio, television, outdoor signage and open houses. The auction advantage is that there is a deadline tied to all forms of communication and our marketing generates an buzz that can only be created by a live auction. Need more reasons to sell at a Real Estate Auction? Property sells as is- no need to repaint, with no contingency contracts. Seller sets terms & conditions- you’re in charge! Convert property to cash quickly- move on with your life! Auctions appeal to buyers- modern consumers want it now. Eliminate carrying cost- keep more of your profit! You set minimum price- we are here to assist. 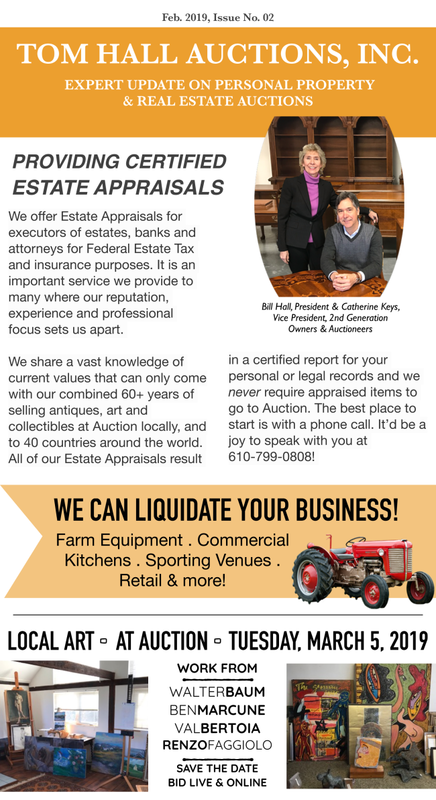 Auctions can exceed expectations- don’t underestimate your estate. Buyers compete for your property- let us settle the deal! Contact us today to talk through all your real estate options. Read more about buying at a real estate auction.